RED maple/ebony. 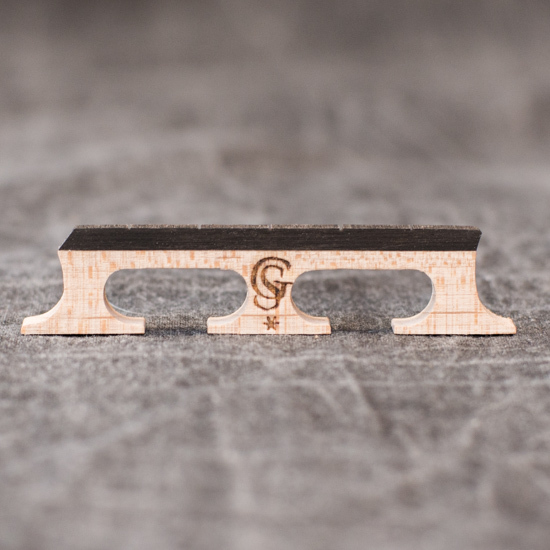 The maple used in this bridge is from excellent Canadian maple. The tone quality from this bridge is deep and full, yet bright. The bridge is shaped much like the Snuffy Smith configuration.